Refreshing and filling smoothie,love the color. 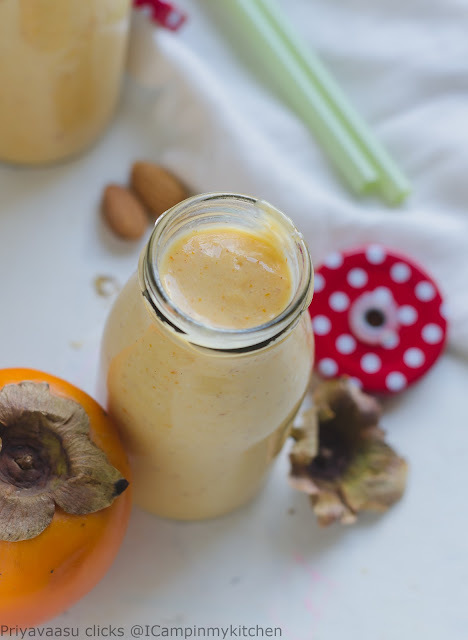 Looks like we are in same wavelength, even i prepared a smoothie with persimmon for this theme but in a different way, delicious refreshing smoothie there. Beautiful click, Priya. I love the bottles you've used to serve your smoothie in. Ok then I will rest by enjoying your creation Priya...even I end up saying permission..lol...and girl is there no limit to your research and search for more phds?.. :)..btw those individual serving and the whole setup looks so amazing..
Love the color of the smoothie and presentation. I love the fruit but it's not available here😕. I am sure a smoothie with it is going to taste awesome . Lol on the smoothie bowl. Love the fruit colour we get just the orange one here. Beautiful clicks Priya. Even I have pronounced this the wrong way and this is one other fruit that I miss here. Creamy and delicious looking fruit smoothie. 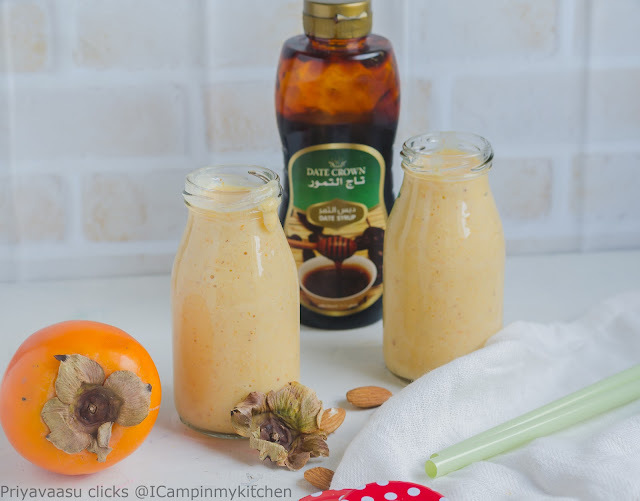 Never used persimmon in smoothies. I had high hopes regarding persimmons this season but the entire batch just disappointed me :( This smoothie sounds wonderful though. 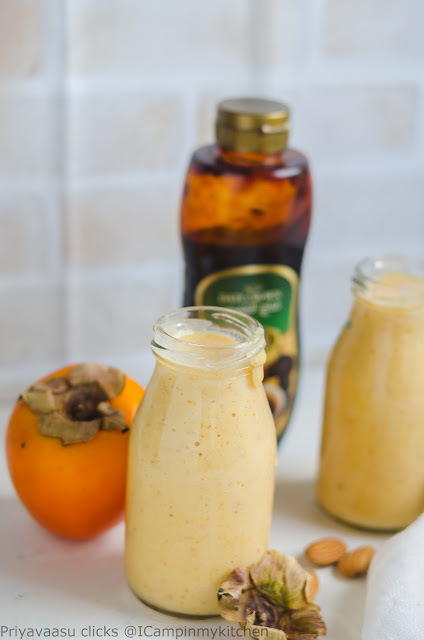 I love persimmons and that is creamy and tasty smoothie. Its mine fav fruit.. love it..